PRICE REDUCTION! CLASSIC COLONIAL BOASTING THREE BEDROOMS AND 1 BATH. LARGE FAMILY ROOM INTO DINING ROOM SET UP WITH KITCHEN. WALK UP ATTIC. LEVEL REAR LOT WITH A TWO CAR DETACHED GARAGE. CLOSE TO SHOPPING, SCHOOLS AND MAJOR ROADS. HUD Home. Sold AS IS by elec. bid only. Prop avail 3-5-19. Bids due by DAILY BY 11:59 PM Central Time until sold. FHA Case #061-276811. Uninsured. Eligible for FHA 203K. Finance Terms: FHA, Cash, Conventional Buyer to verify all info. . State law requires Smoke/ Carbon Monoxide detectors be installed for properties having combustible fuel heaters/furnaces, fireplaces, hot water heaters, clothes dryers, cooking appliances, or an attached garage, but seller (HUD) is exempt from this requirement as a Federal Entity Property is NOT located in a FEMA Special Flood Hazard Area but is listed as a moderate to low flood risk.. LBP . Repairs may include but not limited to structure, electrical, roof, HVAC, and plumbing; Inspection recommended, Needed repairs: Repair driveway, front walkway, and retaining wall. Remove damaged fence. Repair garage window, Install handrails and railings. Replace floor covering where missing or damaged. Replace missing interior doors. Install CO and smoke detectors, Defective paint at exterior and interior PLEASE VIEW ATTACHMENTS FOR ADDITIONAL INFORMATION Repairs exceed $10,000.Please make an appointment to view this home with a Real Estate Agent or Broker of your choiceThis HUD home is a single family home located in Torrington. It offers 7405 sq. ft. in size, 3 beds and 1 baths. 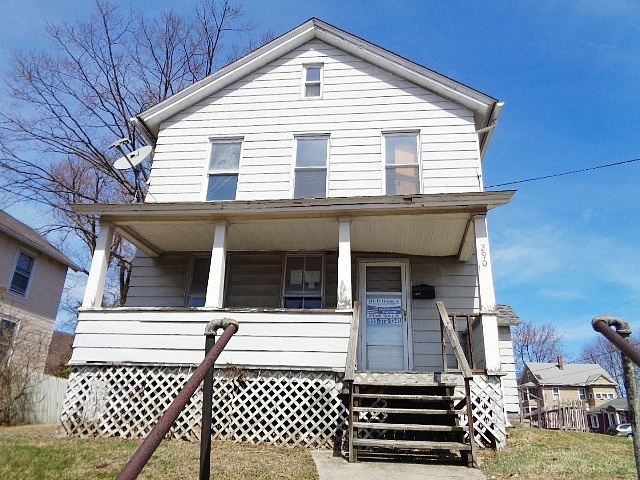 Review its detailed information and determine if this Torrington HUD has the qualities you are looking for.